The Federal Reserve could start looking very different, very soon. First, President-elect Donald Trump can nominate two new governors to the Fed the moment he arrives at the White House -- though he hasn't signaled that as a major priority. But that's only where it starts. -- Richmond Fed President Jeffrey Lacker announced Tuesday he plans to retire in October. -- Atlanta Fed President Dennis Lockhart is also retiring in February. -- Fed Chair Janet Yellen's term ends next January. -- The term of the Fed's No. 2, Stanley Fischer, ends in June 2018. Related: Will Trump repeal the Volcker rule? As president, Trump has the option to either replace or renominate both Yellen and Fischer. It would be a surprise if he decided to renominate Yellen. Trump heavily criticized her during the end of his campaign, saying Yellen should be "ashamed of herself" for keeping interest rates low. Yellen admitted in December her time at the Fed could end next year. "I recognize I might or might not be reappointed," Yellen said at a press conference on December 14. Yellen hasn't decided whether she wants to serve another term. The regional presidents are not nominated by Trump but chosen by the boards of each regional bank. All the moving parts within the Fed will be coming at a time when the central bank is expected to be raising interest rates, which affects millions of Americans. "We're going to see a lot of fresh new faces come a year from where we are today," says Sam Bullard, senior economist at Wells Fargo. "It introduces increased uncertainty over monetary policy and the outlook moving ahead." In December, the Fed projected that it would raise rates three times this year. However, Yellen and her colleagues stress that there's already a high level of uncertainty because they don't know the details of Trump's policies. The Fed raised rates in December for only the second time in nearly a decade. As Trump plans to boost the economy with a big infrastructure spending bill, some Fed leaders believe the central bank may need to raise rates faster than it's currently forecasting. 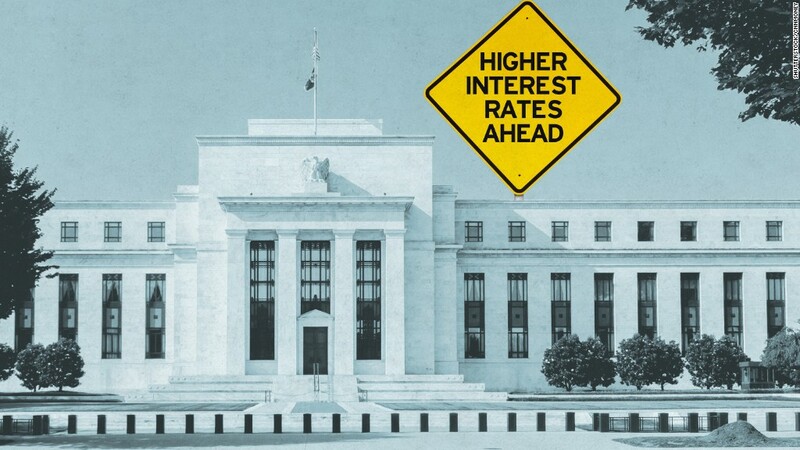 "If the economy ends up for whatever reason — fiscal policy or other things — growing faster, if we have more job growth and inflationary pressures pick up, then we will have to raise rates faster," San Francisco Fed President John Williams told the Financial Times this week.